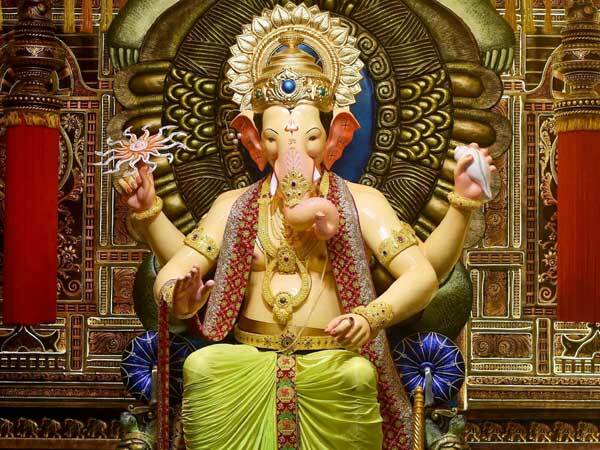 On Friday, August 25 began the 2017 celebration of Ganesh-Utsav, the annual celebration of the most beloved Moorti (Murti – मूर्ति) of all. As “Ish” (Lord) of all “Gan” (people), Ganesh is celebrated by all irrespective of their age, gender, social status, jaat or ethnic background. All are equal before Ganesh. There is no other such all-inclusive representation of God on earth. That is why the celebration of Ganesh is the most joyous & most inclusive of all. There are many many attributes of Ganesh or Ganapati. 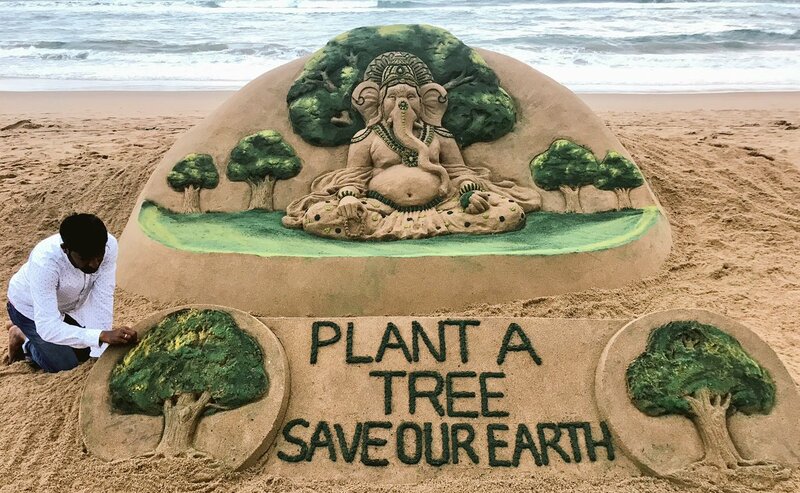 But the two most important ones are Ganesh as giver of Buddhi (a term that encompasses knowledge, intelligence, cognition and wisdom) and Ganesh as Vighna-Hartaa or the destroyer-remover of obstacles. This is why students of every age & of all levels of knowledge begin their scholarship with an invocation of Ganesh. And this is why every one embarking on a venture does so with an invocation to Ganesh. God, please make my path always free of obstacles in all tasks. For a longer discussion, please refer to Section 1 – Moorti Not an Apple Doll of our 2016 Ganesh-Utsav article. 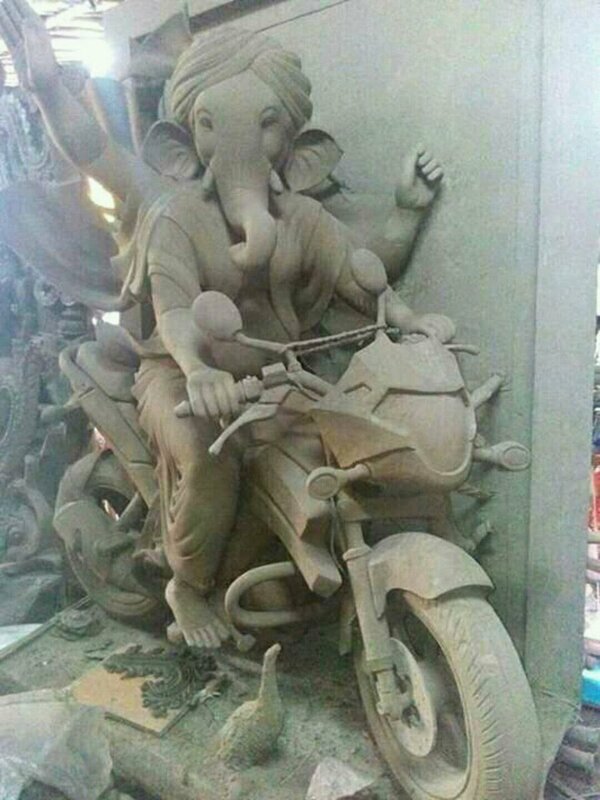 That brings us to the evolution of today’s Roop or image of Ganesh or Ganapati. The earliest text extant in the world is the Rg-Ved, the text that dates back to the beginning of known time. The Rg-Ved begins with Rucha or prayers from the beginning of Indian civilization. That was an era of war between early Indians and demons called Raakshas. It was a war between the light of civilization & powerful forces of darkness. To assist in this war, Indians composed invocations to various forms of Brahman & termed them as Gods. “We sing praises of You, the Gana-Pati of the Gan, the poet of all poets, the greatest among all intellects; Kindly O Brahman-Pati, having heard with our prayers, take your seat of honor in our Yadnya”. Remember, Sanskrut is a language of great accuracy and Indian thought was always based on rigor. Notice therefore that, in this defining verse, the term Gana-Pati is used as an adjective and not as the name. The term “Pati” means commander, leader or protector. So the term Gana-Pati is used to invoke Him as the commander & protector. 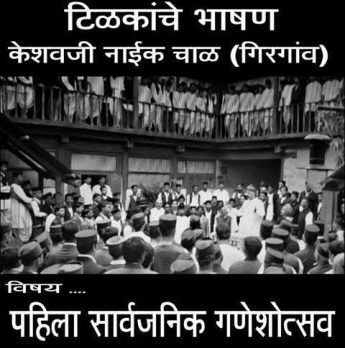 In fact, the Gan or people/followers were identified specifically as Kruk-Vat Gan ( क्रुक्वत् गण). The Rg-Ved has about 64 Rucha or prayer-invocations for this Gana-Pati all as commander in battle and the giver of Buddhi & Wealth. In these prayers, the Vighna-Harta or the destroyer of obstacles description refers to defeat & destruction of enemies in battle. Jumping into a more modern age, the 18th century Marathi Regime that wiped out Muslim rule from 80% of what is today’s India used this Roop or Image of Gana-Pati as their religious symbol. The era after the victory of Indians over the demons led to a peaceful prosperous era in which more philosophical sections were added to Indian Thought. These texts called UpaNiSad are celebrated all over the world as ideal compilations & expressions of Dhaarmic & philosophical thought. As we have seen, the concept of Gana-Pati is different than the concept of Gan-Ish or Ganesh. The suffix “Ish” means Lord or God. So Ganesh means Lord God of the Gan or people. In contrast, the suffix “pati” means commander, leader, protector but NOT Lord God. So how did Gana-Pati become Gan-Ish? 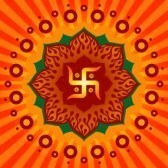 The connection of Brahman with human beings, very broadly speaking, is through the existence of Aatman, an element of which resides in all of us as the force of life. The original primordial sound Om represents the creation of the universe and is therefore termed as the Shabd-Brahman or the sound of Brahman. 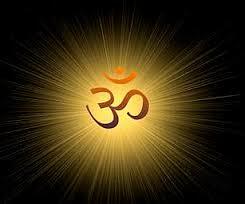 “This Atman is the word Om-kaar with its elements – a-kaar, oo-kaar, ma-kaar. (सः अयं आत्मा अक्षर ओंकार अभिमात्रं अकार ऊकार मकार इति) … This Om-kaar is Atman (एवं ओंकार आत्मा एव)“. ma-kaar (म-कार) as the great Mandal on the head of Ganesh. This merged representation was adopted & described in the various Puraan or texts that taught Indian Dharma, history, philosophy in a simple story-telling form. And that is today’s Roop or Moorti of the beloved Ganesh or Ganapati that the world celebrates. 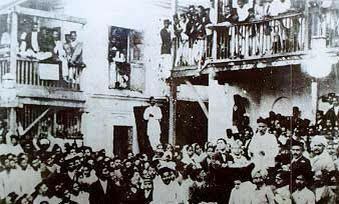 The great Lokmanya Tilak was not just a leader of India’s freedom struggle but he was also a renowned Pandit of Indian Dharma-Shaastra including the Rg-Ved & the UpaNiSads. He knew the various attributes of Ganesh & he uniquely understood how they fit in people’s struggle for their rights. It was his political & strategy genius to launch a public celebration of Ganesh as a way of bringing Indian society together into a movement for Indian renaissance & eventual independence. (For more details see our 2015 article – Ganesh-Utsav – Integration of Dharma, Social Movement & Economics). 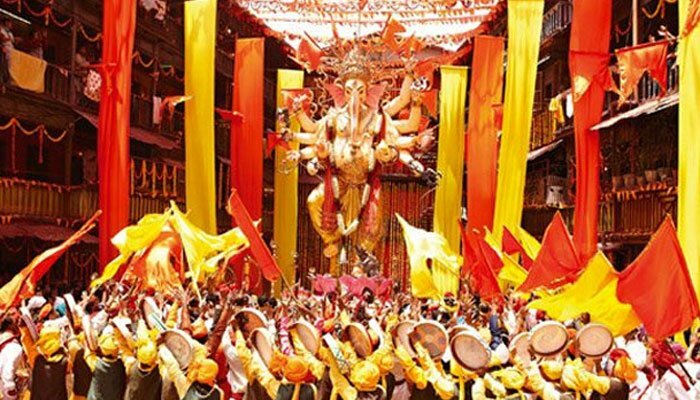 The above is simply a quick glimpse of the history of the Roop we worship as Ganesh. The reality is that, a tremendous amount of literature has been compiled over the ages about the worship and greatness of Ganapti. Even scholars who specialize in this Ganesh-Vidya honestly admit they have not studied it all, even what is available today.